i Click 'view all' to instantly compare this good deal with offers on other top carports. 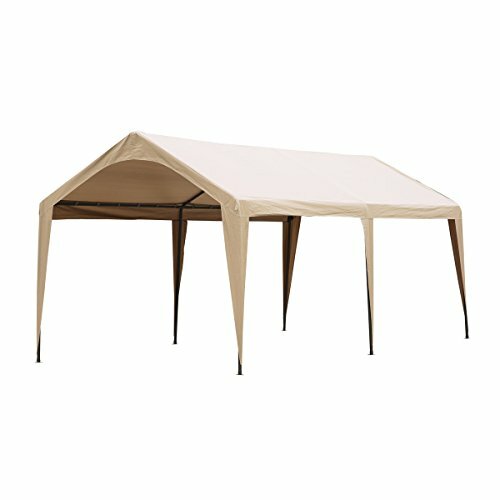 Abba Patio 10 x 20 Feet Outdoor Carport Canopy 6 Steel Legs Beige is currently selling at $219.39, approximately $2.59 lower than average, giving a potential saving of $261.51 right now. With a lowest price of $199.00 and an average of $221.98 it is selling on the low end of its usual range. Price volatility is 1.49% (meaning it does not change often), so the price should stay low for a while. Right now this product is a recommended 'good deal'. 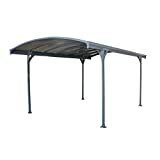 Compare the current price, savings (in dollars & percent) and Buy Ratings for the top Carports that are closely related to Abba Patio 10 x 20 Feet Outdoor Carport Canopy 6 Steel Legs Beige. Here is how Abba Patio 10 x 20 Feet Outdoor Carport Canopy 6 Steel Legs Beige compares with other leading Carports. The 10 x 20 6-Leg carport Canopy features extra-heavy-duty construction and leg support, making it one of the sturdiest models available. This spacious, 200 square-foot shelter is made with heavy-duty steel and a waterproof top that's UV-treated for years of use and enjoyment. This canopy will work perfectly in any situation - from decks and patios to vehicle storage and special events. About Abba Patio Abba Patio, a top designer and manufacturer of high quality gardening products, from patio Umbrellas, Canopies, Awnings to Garden Furniture sets. Each piece is sleekly designed, rigorously tested for durability, and assembly instructions have been standardized for simplicity from start to finish. This classic style and reliable craftsmanship will weather ever-changing trends and regular use for years to come. Due to take in sunlight and the monitor, pictures may have a slight chromatism problem. This is inevitable.